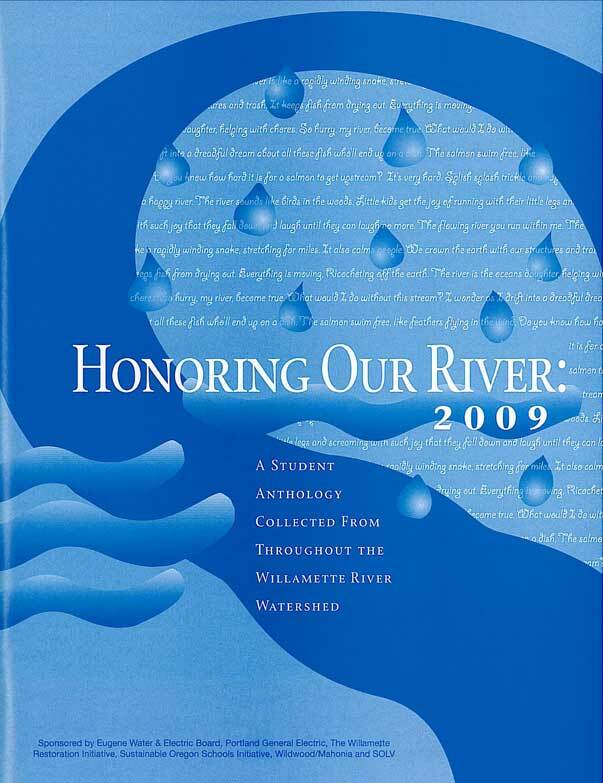 Honoring Our Rivers has been publishing student writing and artwork since 2000. We need your help making this year's anthology truly special! The submission deadline for this year's anthology is January 31, 2015.
WHO CAN SUBMIT? Any student, age kindergarten through college, is eligible to submit their work. 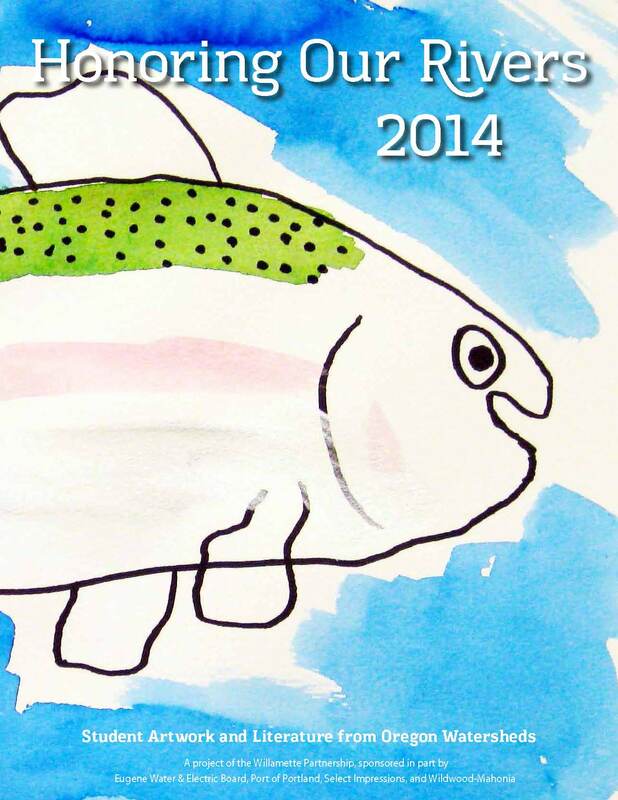 Selected entries will be published in our student anthology alongside esteemed invited Oregon writers and artists. The authors of published pieces will receive a free copy of the anthology and a chance to be featured in upcoming events such as our annual student reading at Powell's City of Books! WHAT SHOULD I SUBMIT? We welcome written works (no more than 500 words per entry please) that are typed or clearly printed, and original art and photography. Digital entries are encouraged. One entry per student. A written entry may be accompanied by original artwork. *NOTE: We are now accepting artwork submissions in COLOR, thanks to a generous donation from our printer, Select Impressions. There is also a special section of the anthology entitled "River Voices" that is exclusively for entries submitted in foreign languages. In past anthologies, entries in Spanish, Chinese, Hindi, Russian and Japanese were submitted. Translations must be provided with foreign language submissions. HOW DO I SUBMIT? It's easy! Simply fill out the entry form (see link below). You can return via email to info@honoringourrivers.org if you sign electronically, or are able to sign & scan. 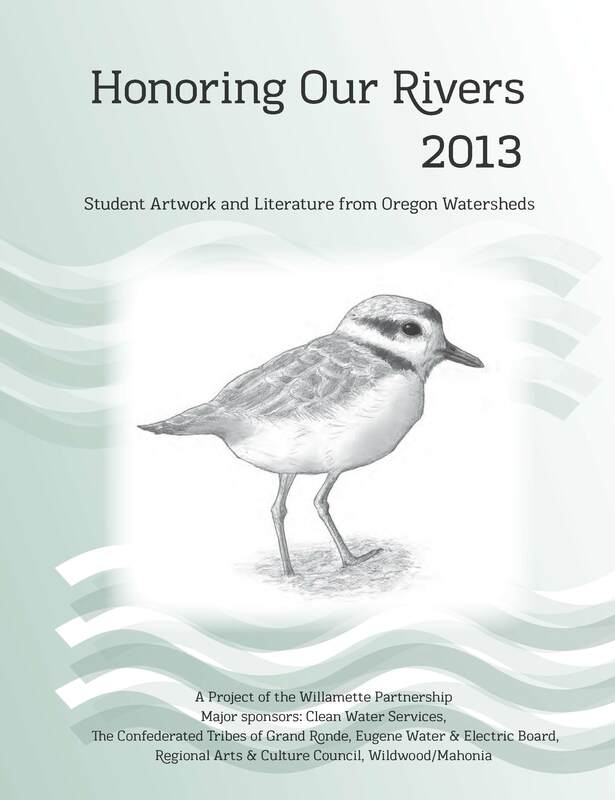 Or you can mail to: Honoring Our Rivers c/o The Willamette Partnership, 4640 SW Macadam, Suite 50 Portland, OR 97239. Please keep a copy of your work. Submissions will not be returned. Click to download an entry form All entry forms must be signed. TEACHERS: We’d love for you to encourage your students to submit. Students can either submit their work directly to us, or you can help them and send us their entries. Students under 18 must have parental permission. Teachers who submit student entries will receive a copy of the anthology for classroom or personal use. 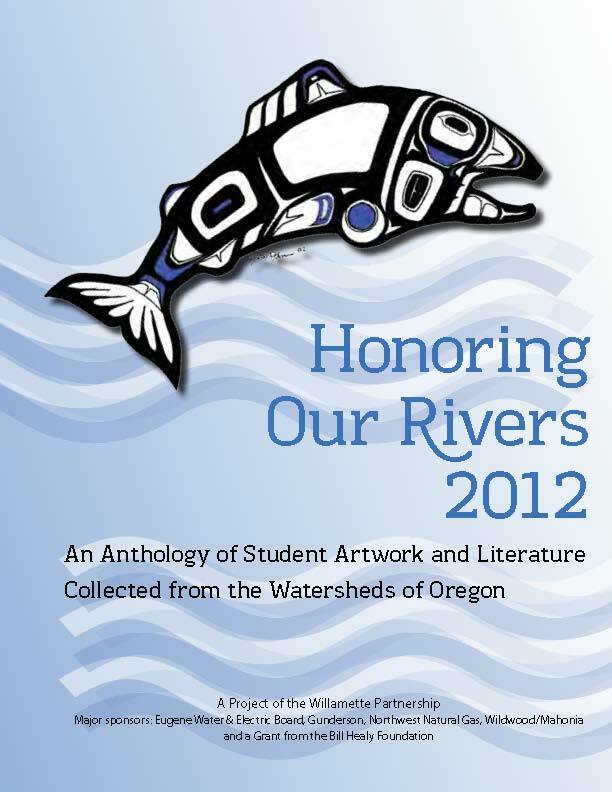 Please consider incorporating the Honoring Our Rivers Student Anthology into your curriculum. You can spend as little as part of one class period, or devote a week-long project to it. It can help students meet Oregon's Educational Standards for the language arts and science. Contact us for more information or to order your free watershed toolkit! • One entry per student. • Written work should be typed or printed clearly (no more than 500 words per entry please). • Artwork & Photography: Original, or digital submissions preferred (jpeg, tiff, png, pdf). Submissions are not returned and Honoring Our Rivers reserves rights and permissions for printing and reproductions. Copyright (c) 2011 honoringourriver.org. All rights reserved. Design by Free CSS Templates.